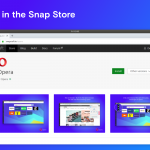 Opera beta recently updated to version 28, so Opera developer moves on to version 29. Today’s most visual updates are related to tabs. It is now possible to access your recently visited tabs from other devices (using sync technology) and we have also added sound notification to the tab favicon. As the next logical step in syncing, the recent tabs list now includes your other devices. You can just click an entry from another of your computers. Great for picking up where you left off, without the need to bookmark a page. On Windows and Linux (non Unity) is accessible via “Opera menu → Recent tabs“. On Mac and Linux (Unity) you can find the list under “History → Recent tabs“. Videos and sound are ever more common on the internet. Although this is generally a good thing, sometimes it can be annoying, especially if one of your background tabs is playing something your don’t want to hear. Via a small animation over the favicon, you can now quickly locate any tab that is making a noise. We have a several other interesting things lined up and will let you know more about them in future blog posts. 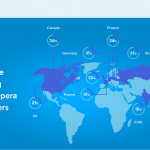 In the mean time, please give us your thoughts and feedback on the 220+ fixes and improvements already included in the first Opera 29 changelog.